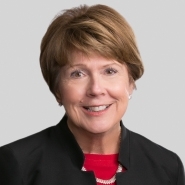 Kathleen M. Trafford, Chair of Porter Wright's Appellate Practice group and partner in the Firm's Litigation Department, has been selected as one of the first female litigators named to the new Benchmark Top 250 Women in Litigation guide. The women chosen for and featured in this inaugural edition publication were selected from their respective states' roster of local litigation stars in the 2012 edition of peer-reviewed parent publication, Benchmark Litigation. View Trafford's Top 250 Women in Litigation listing. The Top 250 Women in Litigation guide honors top female litigators in all 50 U.S. states and the District of Columbia for their achievement in the field. The publication also outlines the history of women in trial law and the challenges female trial lawyers face in firm promotion and work-life balance. The new guide will be distributed with the 2013 edition of Benchmark Litigation later this year, and is currently available online at BenchmarkLitigation.com. In its sixth edition, Benchmark Litigation provides analysis of the best commercial and financial litigators and law firms in the United States to general counsel at the country’s preeminent corporations, investment banks and financial institutions. In addition to covering the national litigation market, Benchmark identifies the leaders in the antitrust, insurance, intellectual property, international arbitration, product liability, securities and white collar crime markets. Trafford is a Fellow in the American College of Trial Lawyers and has also been recognized by Chambers USA, The Best Lawyers in America® and Ohio Super Lawyers®.